Professor Barry Halliwell is Senior Advisor, Academic Appointments and Research Excellence, Office of the Senior Deputy President and Provost. Professor Halliwell graduated from the University of Oxford with BA (1st class) and D.Phil degrees. He holds a D.Sc degree from the University of London. He was a faculty member with the University of London, King's College from 1974 to 2000 and held a prestigious Lister Institute Research fellowship. From 1995 to 1999, he was a Visiting Research Professor of Internal Medicine and Biochemistry with the University of California Davis, School of Medicine, Divisions of Cardiology and Pulmonary/Critical Care Medicine. Professor Halliwell was a Visiting Professor of Biochemistry to NUS from 1998 to 2000. He was Head of the University's Department of Biochemistry from 2000 to 2007 and was Deputy Director, Office of Life Sciences from 2001 to 2003. From 2003 to September 2008, he was Executive Director of the NUS Graduate School of Integrative Sciences and Engineering. From Mar 2006 to May 2015, he was the Deputy President (Research and Technology) at NUS. From Jun 2015 to May 2018, he was the Senior Advisor to the President at the National University of Singapore. An internationally-acclaimed biochemist, Professor Halliwell is known especially for his seminal work on the role of free radicals and antioxidants in biological systems. The Thomson Reuters lists Professor Halliwell as one of the world’s most highly-cited researchers in Biology and Biochemistry and his Hirsch Index is 154. His book Free Radicals in Biology and Medicine published by Oxford University Press, and now in its fifth edition, is regarded worldwide as an authoritative text in the field. He has received numerous research awards, including Singapore President’s Science and Technology Medal (2013), the "Lifetime Achievement Award" by the Society for Free Radical Biology and Medicine in the USA for overall sustained excellence in the field and the Ken Bowman Research Award for outstanding achievements in the field of cardiovascular research from the Institute of Cardiovascular Sciences (Canada). His research focuses on the role of free radicals and antioxidants in human disease, particularly Alzheimer's disease and other brain disorders. His interest in identifying the most important antioxidants in the human diet and in developing novel antioxidants has critical bearing on treating human diseases and understanding how diet might cause or prevent them. Professor Halliwell is a member of several editorial boards including FEBS Letters, Biochemical and Biophysical Research Communications and Antioxidants and Redox Signaling. He has been a lead speaker at Gordon Conferences and other prestigious events worldwide and is a member of several expert advisory panels to leading universities, companies and government agencies. Tony Mayer is an earth scientist. He conducted research at Leicester University and University College, London before pursuing a career in research management at the UK Natural Environment Research Council, during which time, he worked in the USA on the |Ocean Drilling Programme. 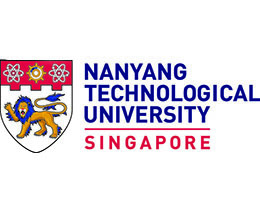 Tony is currently Research Integrity Adviser to the Nanyang Technological University (NTU), Singapore. He was previously the Director of the COST Office in Brussels, Belgium and Head of Strategy and Chef de Cabinet at the European Science Foundation, Strasbourg, France.He was the co-chair and co-organiser of the first, second and fifth World Conferences on Research Integrity (Lisbon 2007, Singapore 2010 and Amsterdam 2017) and is the Treasurer of the World Conferences on Research Integrity Foundation. Prof Philip Keith Moore is the Chief Research Compliance Office and Chief Research Integrity Officer for NUS. Prof Moore first joined NUS in 2003. He was Head of the Department of Pharmacology for almost five years and for the last two years of that period, he was additionally Vice Dean of Research at NUS Yong Loo Lin School of Medicine. After spending a few years back in the United Kingdom where he headed the Department of Pharmacology and Therapeutics at King’s College, Prof Moore re-joined NUS in 2010 as a Research Director in the Office of the Deputy President (Research and Technology) with concurrent professorial appointments in the Departments of Pharmacology and Pharmacy. Since that time he has been Executive Director of the NUS Graduate School for Integrative Sciences and Engineering and more recently has taken on a role overseeing research compliance and integrity within the University. An internationally renowned pharmacologist, Prof Moore has published extensively on the pharmacology of bioactive gases in leading journals and is an ISI highly cited author. ​Sir Philip C​ampbell is Editor-in-Chief of Springer Nature. His areas of responsibility include the editorial content of Nature, and assuring the long-term quality of all Nature publications. He is based in London. He has worked with the UK Office of Science and Innovation, the European Commission and the US National Institutes of Health on issues relating to science and its impacts in society. For ten years until 2012 he was a trustee of Cancer Research UK. He is a founding trustee and now the Chair of the research funding charity 'MQ: transforming mental health'. He is a Fellow of the Royal Astronomical Society and a Fellow of the Institute of Physics, and was awarded an honorary DSc by Leicester University and Bristol University, and an Honorary Professorship by the Peking Union Medical College. He is a Life Member of Clare Hall, Cambridge University. Dr Anthony Partridge is a drug discovery scientist with over ten years of industry-based experience. Since July 2015, he has served as Principal Scientist at MSD’s Translational Medicine Research Centre (TMRC) in Singapore where he works on a variety of programs in the early discovery space. Previously, Dr. Partridge was Senior Director of Biology at Pharmaron Beijing where he led a team dedicated to assay development and lead optimization screening. As an In Vitro Pharmacology Capability Lead in the xDPS group at Merck & Co., he helped pioneer collaborative efforts with CRO partners in China focusing on assay development and screening for lead optimization campaigns. Prior to this, he was a Senior Scientist at the Merck-Frosst Centre for Therapeutic Research in Montreal where he led assay development and screening projects. As a Scientist at Élan Pharmaceuticals, Dr. Partridge established academic collaborations for target validation, led protein purification and characterization efforts and also led a small molecule program. Dr. Partridge completed his post-doctoral training at Scripps/UCSD, his Ph.D. at the University of Toronto/Hospital for Sick Children (2003), and B.Sc. at the University of Guelph (1998). Image-Integrity, Heidelberg and FEBS Press, Cambridge UK. Jana has a background in theatre arts and photography. In 2002, she obtained an MA in Bilingual Translation from Westminster University, London, before returning to Germany for a career in publishing. Jana worked at EMBO Press in Heidelberg for 10 years where she started the Image Integrity program for their four journals. The program received much recognition in the scientific press including Nature News. When she left EMBO in 2015, Jana started up her own business, Image-Integrity. She has since worked for various clients including Nature, eLife Sciences and The Royal Society. Beside running workshops, providing consultancy and giving talks, she recently joined the editorial office at FEBS Letters, and is responsible for image screening at all four FEBS publications. Head of Imaging Facility at Center of Molecular Biology (ZMBH), University of Heidelberg. Holger is a cell and molecular biologist educated at the Universities of Göttingen and Munich (LMU), Germany. After his graduation at the LMU, he did his postdoc research at the National Institutes of Health, NIH, USA, in Dr. J. Lippincott-Schwartz’s lab with a focus on advanced light microscopy of subcellular processes. In 2008, he joined the Center of Molecular Biology (ZMBH) at the University of Heidelberg to set up a new core facility for advanced imaging. He serves as the head of the core facility to support researchers with light microscopy (up to superresolution) and image analysis/processing applications. Holger has a long track record of teaching digital image analysis to under- and postgraduates. His courses cover all aspects of image processing ranging from the use of existing analysis tools to goal-oriented, bespoke software programming. Many of his courses have a dedicated focus on ethics in bioimaging addressing the importance of both correct scientific conduct and quantitative image analysis. Holger’s team has also created InspectJ, a freely available software to detect image manipulations. Ching Wan is an Associate Professor in Psychology and the Associate Chair (Research) at the School of Social Sciences, Nanyang Technological University. She received her PhD in social psychology at the University of Illinois at Urbana-Champaign. Her major research interests are in self and identity, and the role of culture and knowledge representation in psychological processes. She has published in top social and cultural psychology journals, such as Journal of Personality and Social Psychology and Journal of Cross-Cultural Psychology. Aek (Palakorn Achananuparp) is a senior research scientist at Living Analytics Research Centre (LARC), Singapore Management University. His current projects involve the developments of personalized healthy eating and behavioral change technology and a large-scale food knowledge crowdsourcing. He received his Ph.D. from Drexel University (formerly the iSchool at Drexel) where his research focused on information retrieval and text mining problems, specifically, general-domain text summarization and factoid & complex question answering. Since joining LARC in 2011, he led the research and development of several social media analytics and online experimentation systems. His research interests include social media mining, social network analysis, web & text mining, personal informatics, digital health, crowdsourcing, and politics. He is also an avid runner and a quantified-self practitioner. Tim White received his PhD from the Australian National University in mineral chemistry and crystallography and is presently a professor in the School of Materials Science and Engineering. During his career he has held various posts at the Australian National University, the Institute of Environmental Science and Engineering (Singapore), The University of South Australia, University of Queensland, The University of Melbourne, and the Australian Nuclear Science and Technology Organisation (Sydney). Secondments have included the Institute for Transuranium Elements (Germany), Japan Atomic Energy Research Institute and the University of New Mexico. His research awards include the Cowley-Moodie Award for Electron Microscopy, a Senior Fulbright Fellowship, and an Asia Fellowship. Professor YEO Kiat Seng received the B.Eng. (EE) in 1993, and Ph.D. (EE) in 1996 both from Nanyang Technological University (NTU). Associate Provost for Research and International Relations at Singapore University of Technology and Design (SUTD) and Member of Board of Advisors of the Singapore Semiconductor Industry Association, Professor Yeo is a widely known authority in low-power RF/mm-wave IC design and a recognized expert in CMOS technology. Before his appointment at SUTD, he was Associate Chair (Research), Head of Division of Circuits and Systems and Founding Director of VIRTUS of the School of Electrical and Electronic Engineering at NTU. He has published 8 books, 6 book chapters, over 600 international top-tier refereed journal and conference papers and holds 38 patents. Professor Yeo hold/held key positions in many international conferences as Advisor, General Chair, Co-General Chair and Technical Chair. He was awarded the Public Administration Medal (Bronze) on National Day 2009 by the President of the Republic of Singapore and was also awarded the distinguished Nanyang Alumni Award in 2009 for his outstanding contributions to the university and society. Professor Yeo is an IEEE Fellow for his contributions to low-power integrated circuit design. Lyndsey Dixon is the Editorial Director, Asia Pacific Journals at Taylor & Francis. Leading a rapidly expanding team spread across the region she is responsible for the growth and development of this dynamic and multidisciplinary APAC journal portfolio. In her decade in the industry globally, she’s assisted societies, researchers and authors navigate many of the modern shifts in the publishing landscape. Sharing knowledge is integral to her role and she has vast experience working to develop those involved in publishing at various levels: be that as course tutor for STM Association training the next cohort of publishing professionals, providing seminars to Journal Editors across the region or hosting workshops to Early Career Researchers. Martine Docking is VP, Global Corporate Sales at Wiley and has 20 years of experience in healthcare marketing and medical communications across the Asia Pacific region. In her current role at Wiley, Martine has global responsibility for partnerships with Corporates to help them reach, engage and connect with their audiences via credible and ethically produced content. Previously at Wiley, Martine has worked as the Director, North Asia and APAC Corporate Sales taking on responsibility for academic, medical and corporate libraries in addition to corporate marketing, education and publishing services. Her past experience includes having worked as the General Manager, McCann Healthcare, Singapore; General Manager, Atlantis Healthcare, Singapore; Account Director, InVivo Communications, Singapore; and Product Manager, Merck Sharp & Dohme, Australia. Since December 2016, Martine has fulfilled the role of Asia Pacific Trustee on the International Society of Medical Publication Professionals (ISMPP) Board of Trustees and served as co-chair of the 2017 Asia Pacific ISMPP meeting. Alexander van Servellen is Senior Consultant, Research Intelligence at Elsevier. Based in Singapore since 2013, Alexander has intensively engaged academic and government policy-makers, and in many cases helps them integrate research analytics solutions into their research strategy-workflows. Alexander was part of the team which launched analytical services at Elsevier in 2010 and in that capacity designed, proposed complex research performance projects, for clients including National Research Foundation of Singapore and the Dutch Ministry of Economics. Alexander is originally from the Netherlands, has worked with Elsevier since 2008, and holds a MSc. in Developmental Psychology from University of Amsterdam. Vicki Xafis joined the Centre for Biomedical Ethics (CBmE), NUS in February 2018. She is a Senior Research Fellow and is leading the NMRC-funded SHAPES (Science, Health and Policy-relevant Ethics in Singapore) initiative. She has a background in bioethics, linguistics, education and research. Vicki has considerable professional expertise in research & clinical ethics and has previously held several senior research ethics administrator positions in academia and government in Victoria, Australia. Owen Schaefer is a Research Assistant Professor at the Centre for Biomedical Ethics, National University of Singapore and works under the NMRC-funded Science, Health And Policy-Relevant Ethics in Singapore (SHAPES) initiative. He received his DPhil in Philosophy from Oxford University, and has completed fellowships at the National Institutes of Health’s Department of Bioethics and the Oxford Centre for Neuroethics. His primary interests lie on the ethics of developing novel biomedical technologies. He has written on big data, research ethics, the obligation to participate in research, human enhancement, gene testing and editing, assisted reproduction and in vitro meat. Markus Labude joined the Centre for Biomedical Ethics (CBmE) in 2015 under the National Research Foundation’s SHAPES Initiative for Capacity Development in Biomedical Ethics in Singapore. Markus is a graduate of Yale University's doctoral program in philosophy, where he specialized in ethics and political philosophy.